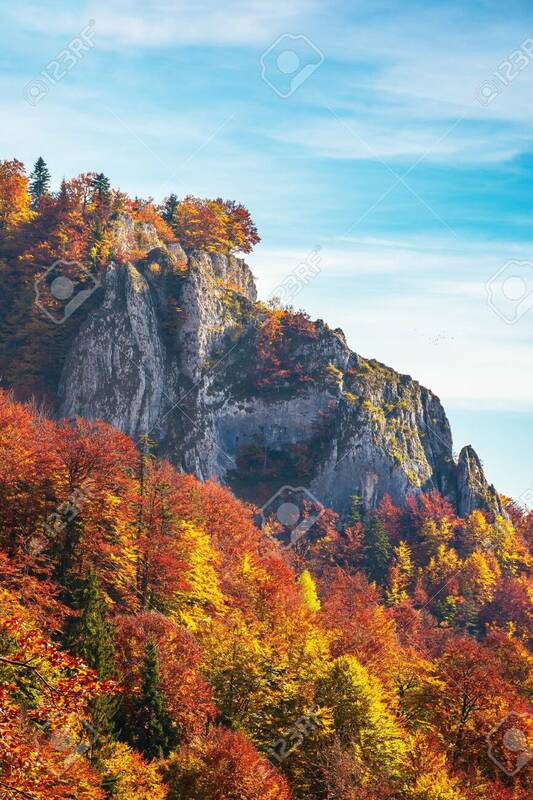 Rocky Cliff In Autumn. Trees In Colorful Foliage. Warm And Sunny.. Stock Photo, Picture And Royalty Free Image. Image 116824839.